Doesn't matter whether you're a Fashionista yourself or not, here's something awesome coming to your way! Well, actually it is HERE already! 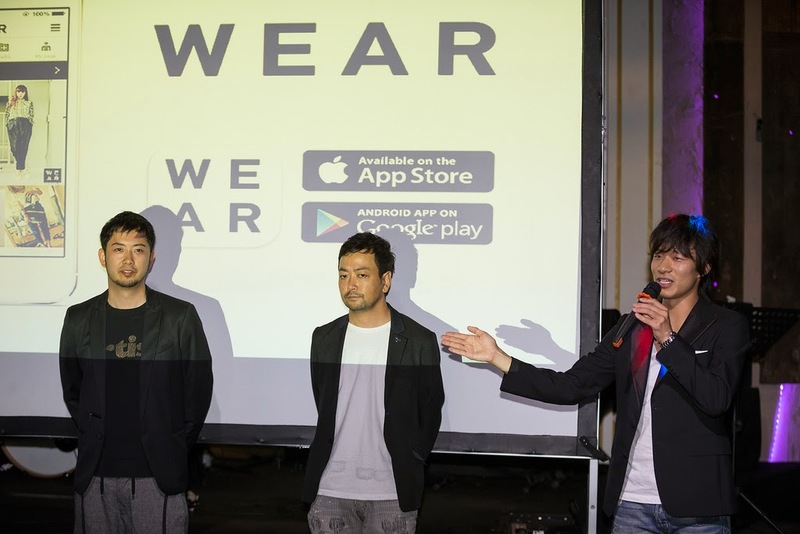 The second day of the Malaysia Fashion Week marked the official launching of Japan's No.1 fashion mobile app - WEAR - in Malaysia! I would not want to miss to be a part of the official launching with the rest of the Fashion and Lifestyle bloggers in town. WEAR is the official digital partner of the inaugural Malaysia Fashion Week (MFW) 2014 show segments from 20-22nd October 2014, particularly for Mercedes-Benz STYLO Asia Fashion Week (MBSAFW) and Malaysian Fashion Show (MFS). The Malaysia Fashion Week (MFW) is a collaborative effort between national trade promotion agency MATRADE (Malaysia External Trade Development Corporation) and the country's leading fashion event organizer, STYLO International. I considered myself pretty lucky for the chance to get to know about the app through the actual people behind this app. Both Mr. Shinji Kijitani and Mr. Tatsuta Kubota explained on how do we use the WEAR app, from setting up an account, post the look, comment and recommend look, save the look, etc. This app has so many features built into it, try it yourself to explore all of them! "WEAR combines the best of all popular social media applications and activities such as fashion photo sharing, journaling, hashtagging and e-commerce into one exciting smartphone app." said Hidenori Fukushima, Manager of WEAR Globa Business Development. Just so you know that WEAR is Japan's No.1 fashion mobile application featuring daily trending looks by brands and fashionistas from all over the world. The mobile application allows users to search trending looks and the hottest styles of celebrities around the world; save photos of clothes they like; and upload and share their countless of fashion selfies or pictures of styles they find attractive. In addition to being a fashion styling tool, WEAR also allows users to purchase items online. Zozotown's database of products and existing agreements with thousands of brands and stores allow for consumers to view product information and images onlne. Users can also contact merchants directly to make online purchases. WEAR also solves the problem of brands not delivering to certain countries by showing similar styles by other brands which users can consider. WEAR users are classified into three categories - General users, brand representatives and WEARISTAS. Brand representatives use the app to market their clothing lines whilst WEARISTAS are a select group of fashionable people, ie. models, celebrities and ordinary people turned fashionistas. As part of the fashion festivities, WEAR will be selecting ONE lucky fashionista or blogger to be the recipient of the coveted WEARISTA Style Icon Award on October 22nd. The WEARISTA Style Icon Award recipient will win a trophy, 10 exclusive invites for the Malaysia Fashion Week 2014 "After Party" on October 22nd and a John Robert Powers @ Stylo Academy private session worth over RM2,000. To win the coveted WEARISTA Style Icon Award competition, just upload a picture of yourself wearing a designer or designer-inspired outfit from the list of designers showcasing at MFW 2014 on WEAR and hashtag #ootd #MBStyloAFW #< your name > by 21st 2014. The most stylish photo and/or most creative interpretation of a participating designer outfit wins. More information on WEAR and MFW 2014 can be obtained by looking up “WEAR” in the Google Play Store or App Store and mbstyloafw.com, respectively or follow Stylo International and MBStyloAFW on social media - Facebook/Twitter/Instagram.